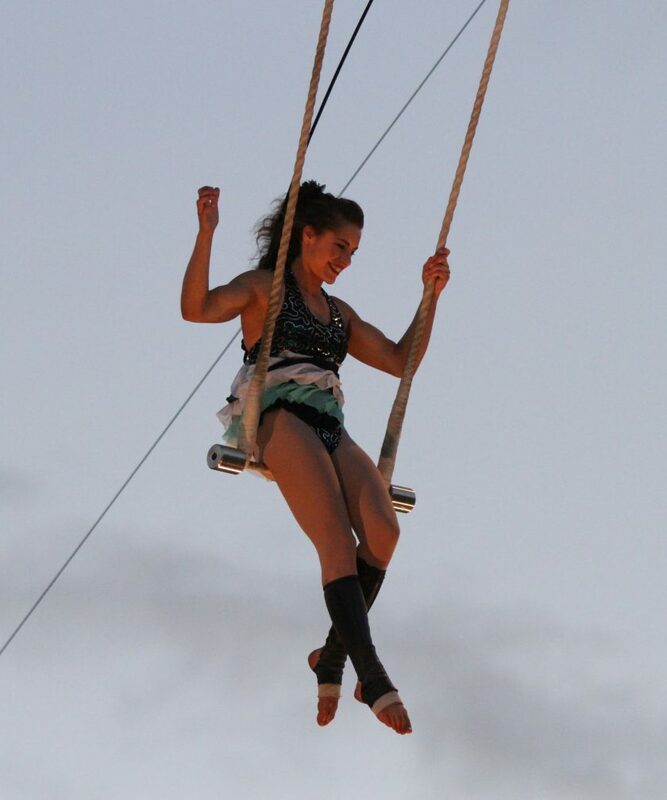 A powerful Swinging trapeze artist, Josie’s enjoyment of flight is unmissable in this act! A cheerful and vivacious performer, Josie’s spark for physicality led her to NICA where she graduated in 2012. She has been teaching and performing throughout Australia and beyond ever since. From festivals to cruises, Josie has appeared in Adelaide Fringe Festivals, the Western Australian Circus Festival, Fly Factory and P&O Cruises as well as a variety of other freelance and corporate work. Recently she returned from Taiwan after performing in Entropy with TEOC Circus. Josie loves heights and, like a cat, can always be found at the highest point wherever she is!